Each side of the lovely pewter locket is enameled a different shade of blue. Both sides are studded with tiny pale pink rhinestones. It closes with a magnetic clasp. 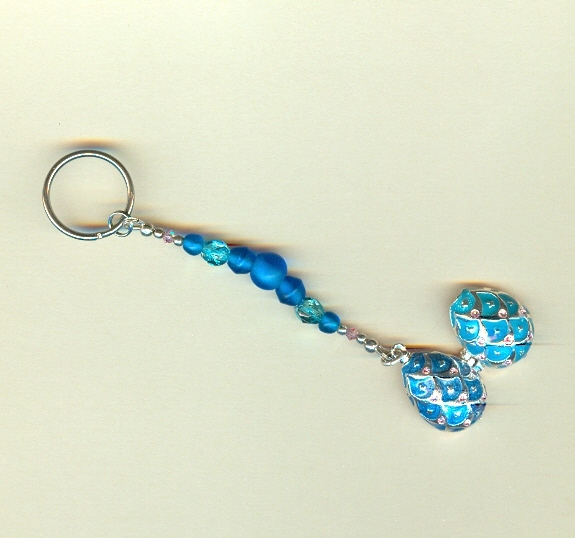 The locket is attached to a sturdy nickel split ring by 2-3/4 inches of blue glass and pink crystal beads. Included in the purchase of this item is a special message about FAITH contained within the locket. Consider it a gift to you from SPARKLE PLENTY.